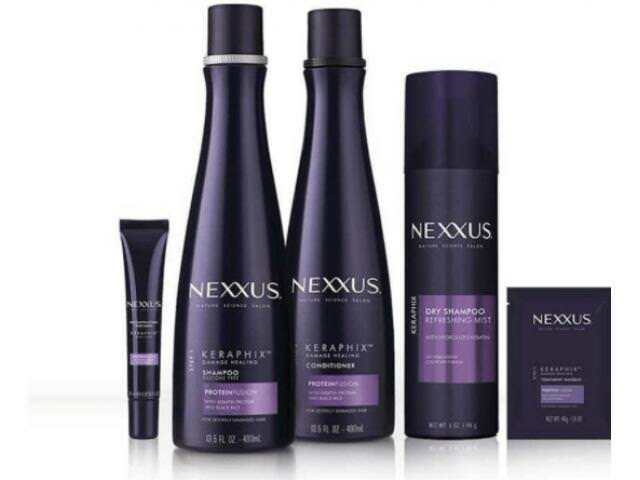 Get A Free Nexxus KERAPHIX Shampoo + Conditioner Sample! The Nexus Seraphic Healing System for Severely Damaged Hair, with Keratin Protein and Black Rice, heals visible signs of severe hair damage. Rice has long been a storied secret of strong healthy hair for women of the Huangpu village in China, where fermented rice water has unlocked the key to growing long, luxurious hair. Extensive testing showed that Glutamic Acid is a key amino acid lost in hair when it is exposed to severe damage. After finding that Black Rice was among the richest sources of Glutamic Acid in nature, Nexus combined this ingredient with Keratin Protein and other essential nutrients to create a new hair healing ritual for clinically proven healthy-looking hair with just one use. Salon-crafted with our exclusive PROTEINFUSION blend with Keratin Protein and Black Rice, Seraphic Shampoo acts as the first step of the treatment process, gently cleansing your severely damaged hair, priming it for continued treatment. Nexus gives away free samples today! Claim yours!